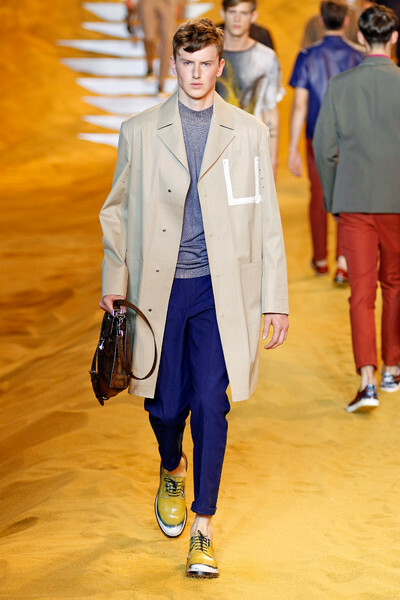 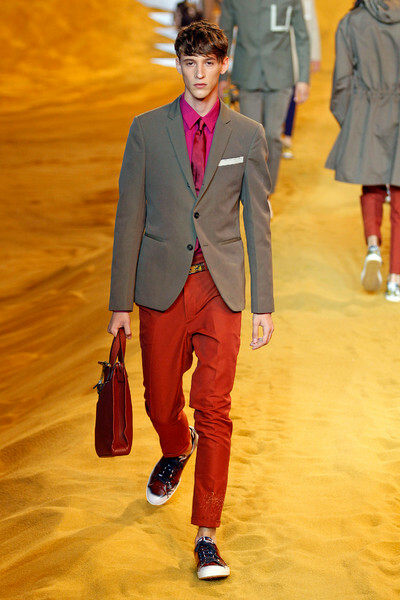 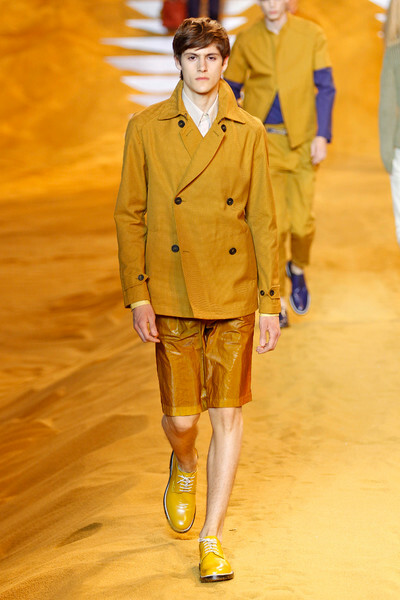 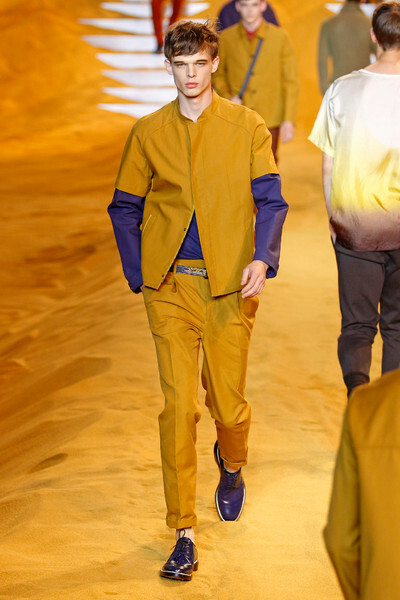 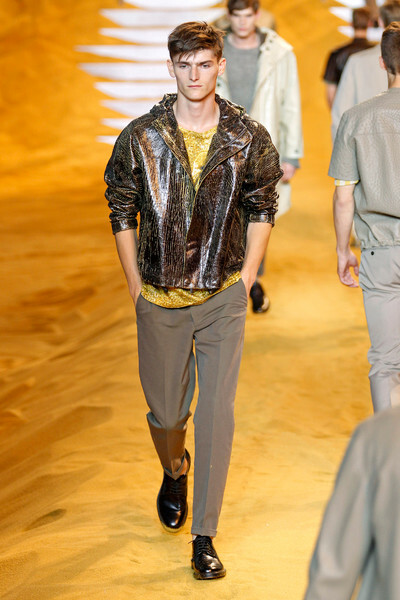 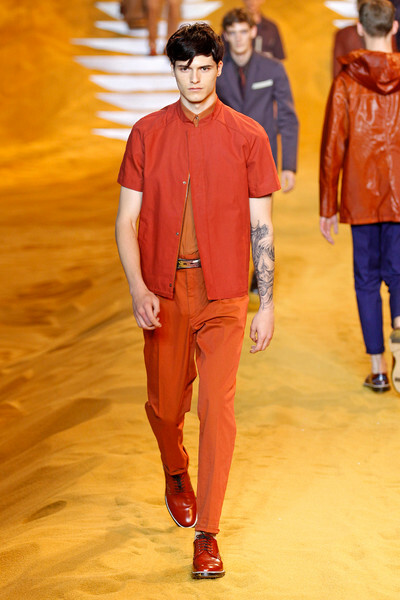 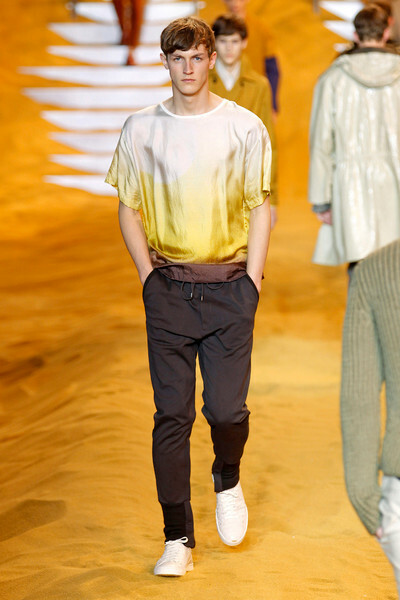 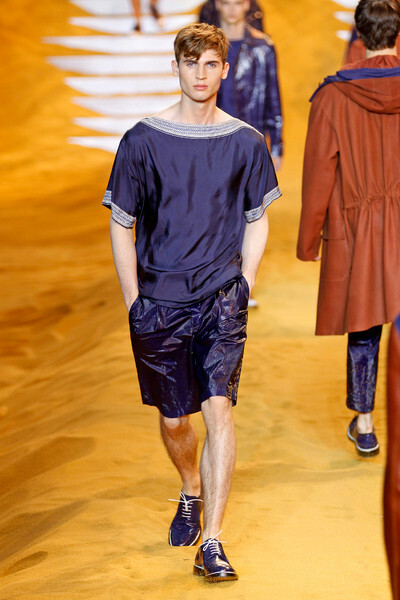 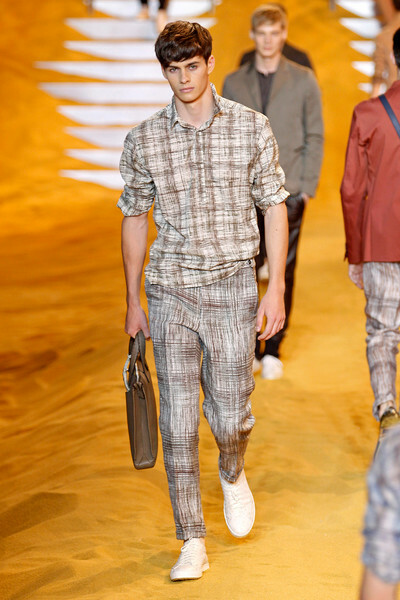 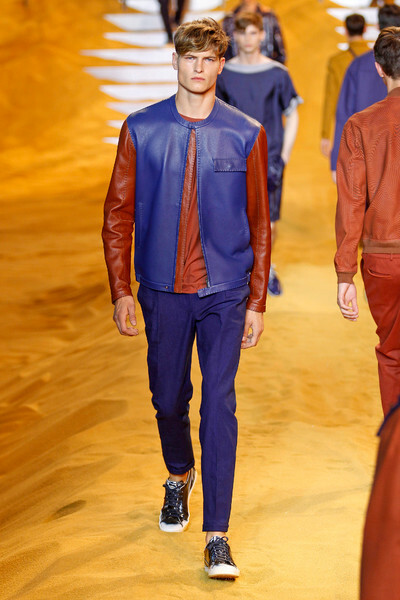 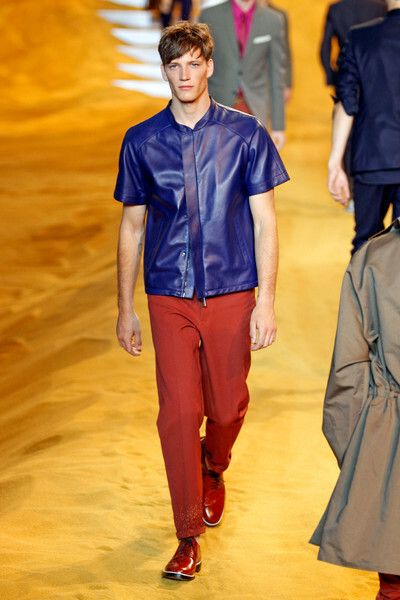 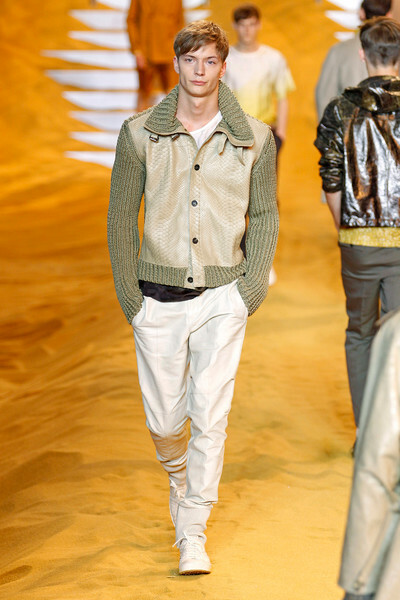 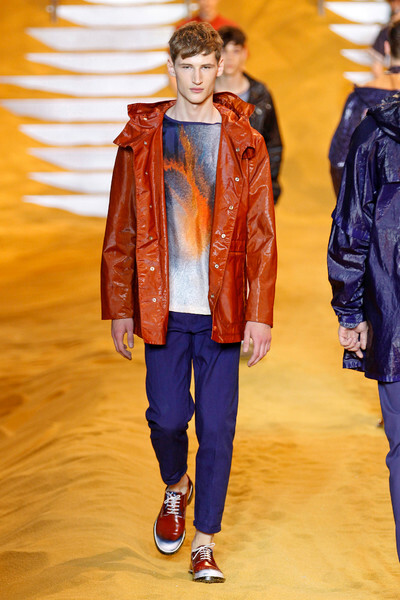 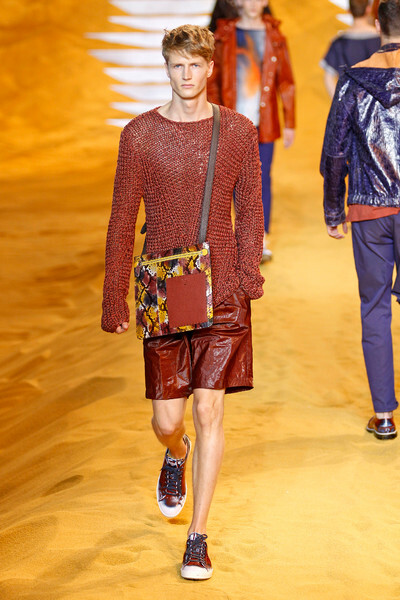 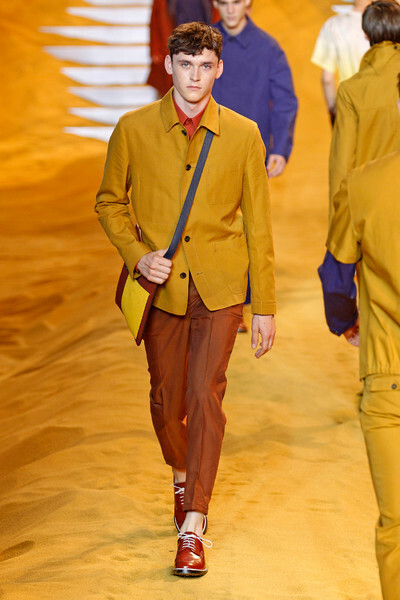 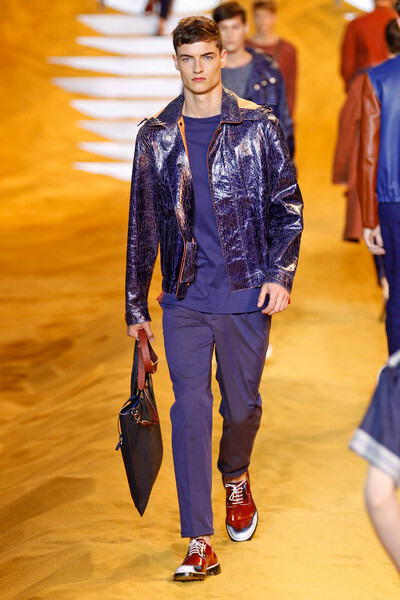 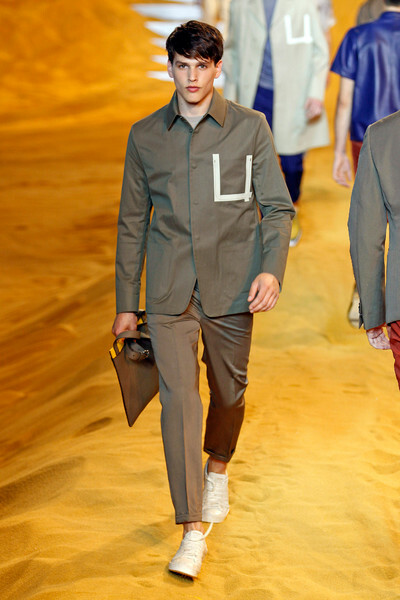 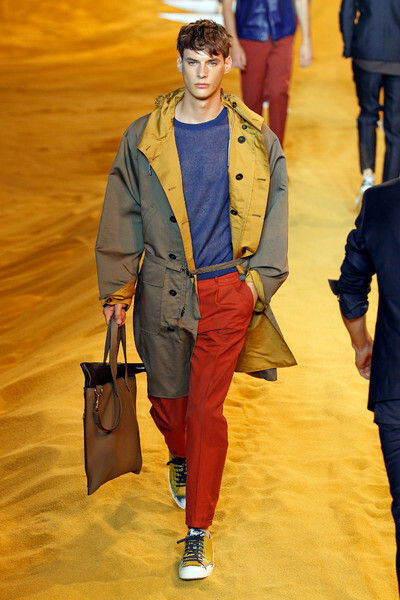 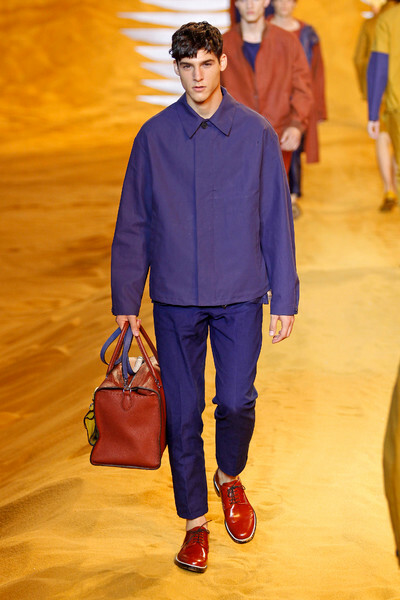 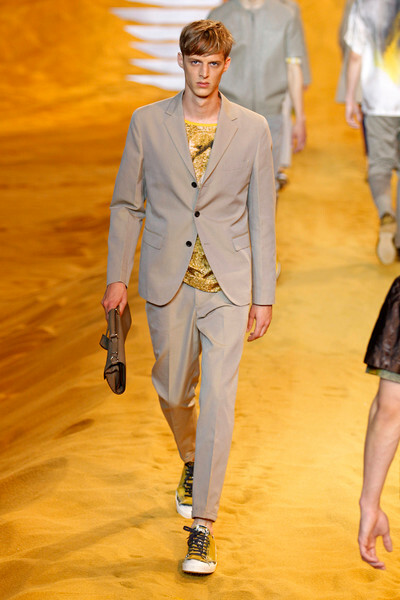 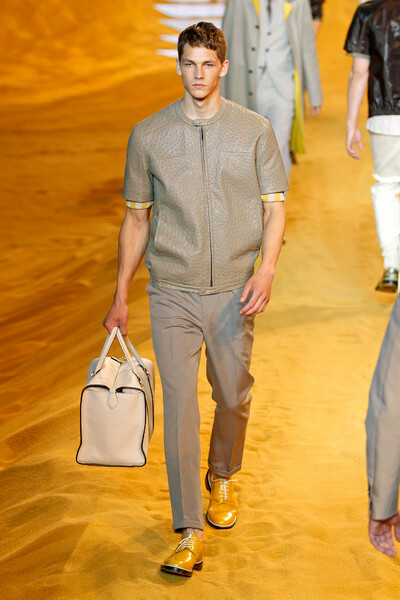 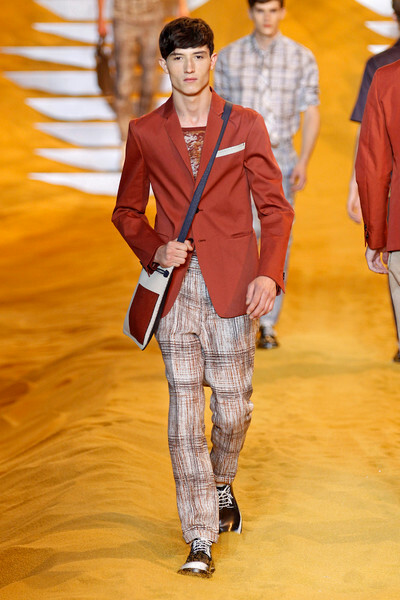 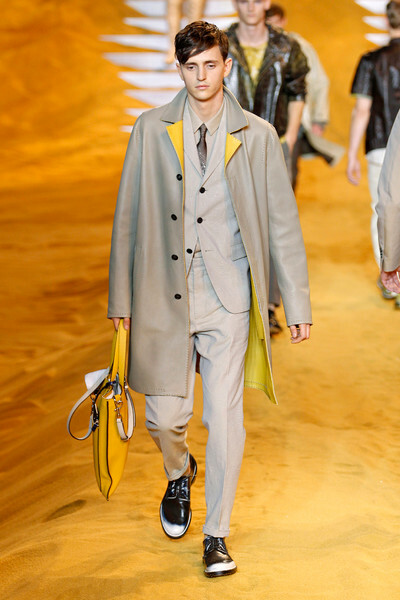 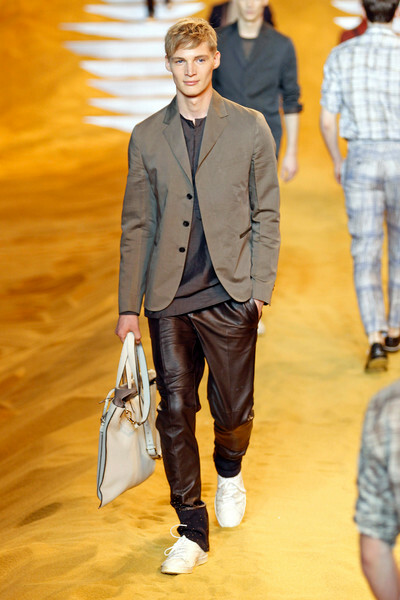 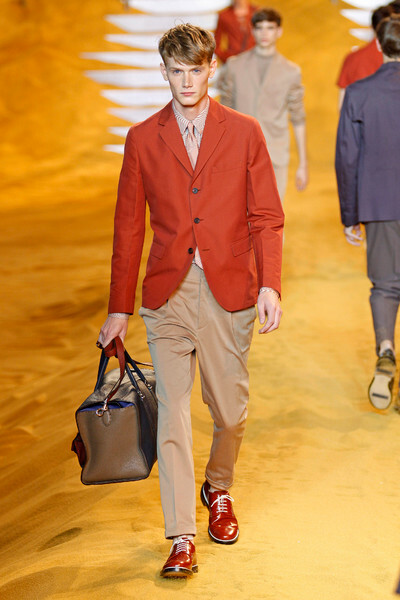 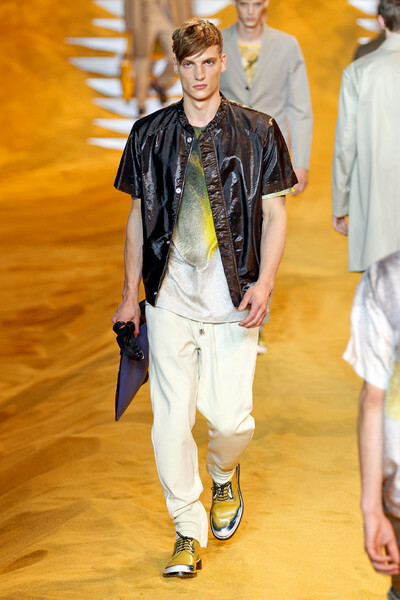 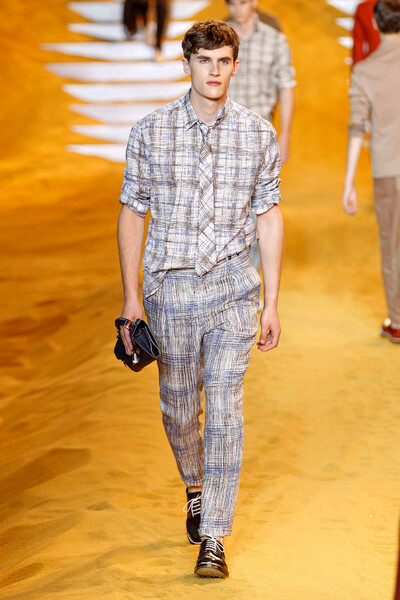 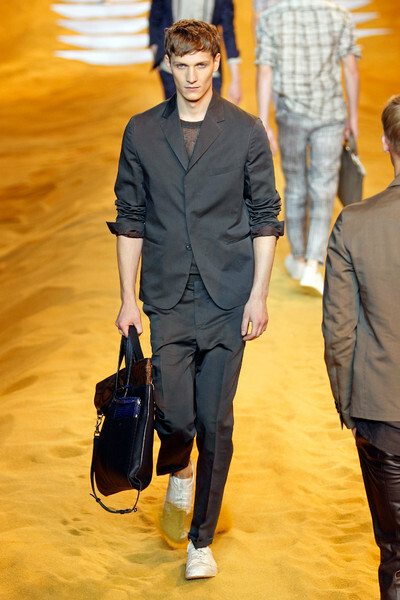 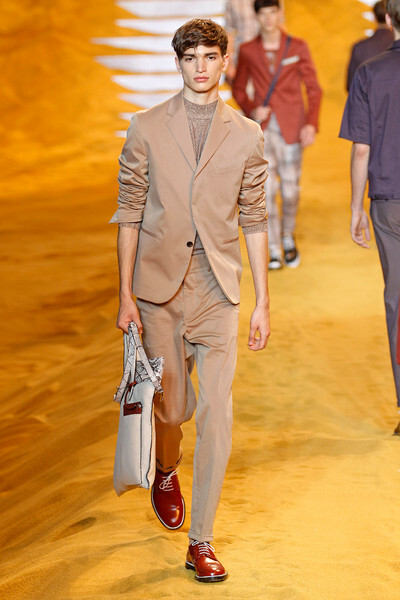 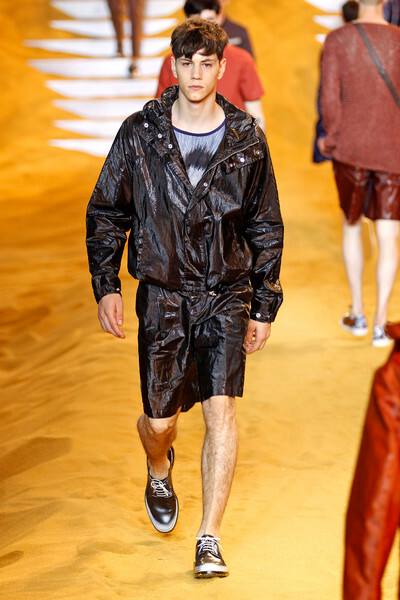 Silvia Venturini Fendi designed her ss14 menswear-collection with ‘Extreme Heat’ in mind. 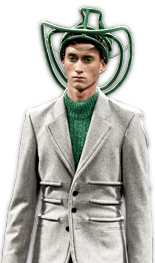 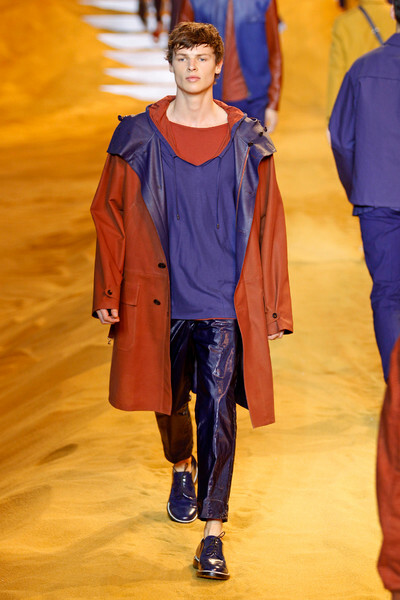 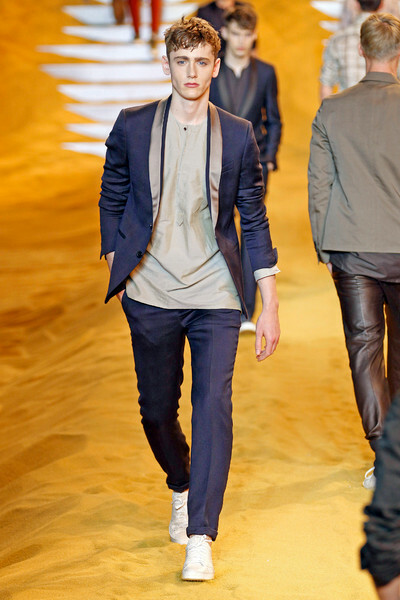 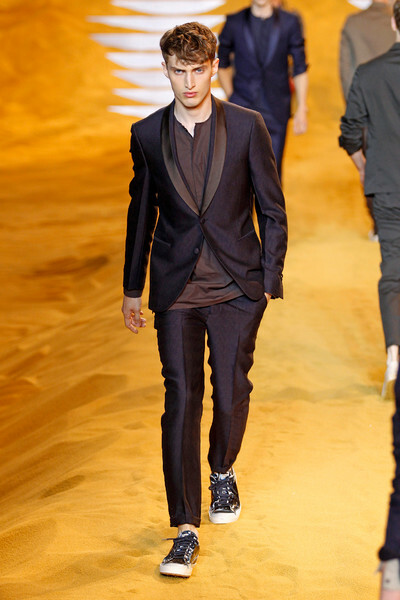 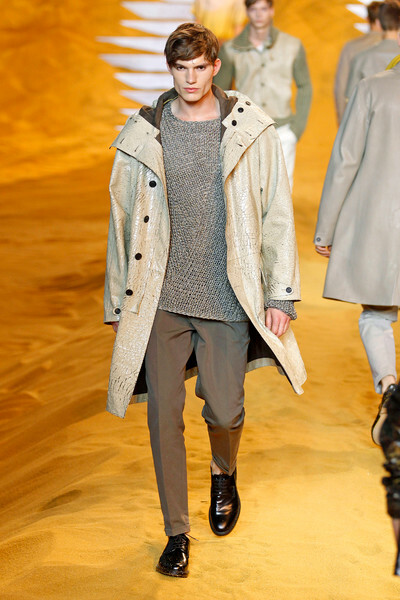 The result was a streamlined collection with crisp and slim suits and oversized outerwear. 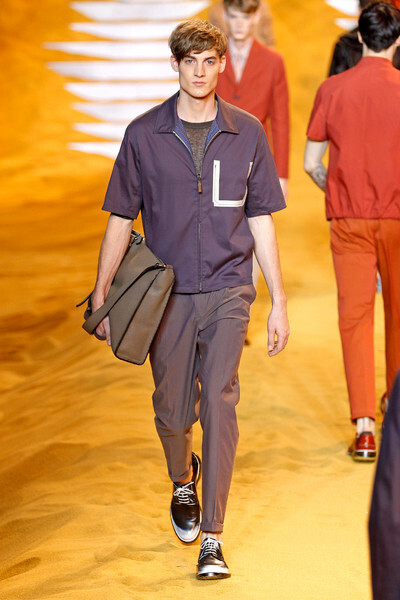 Some pockets and seams were trimmed with strips representing tape, which gave it a raw edge. 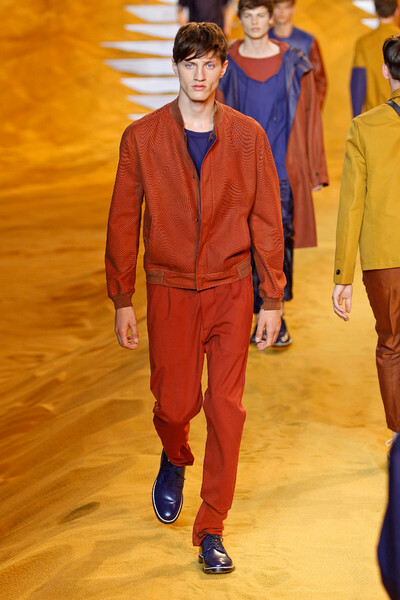 Colors were deep and saturated, rust, ochre and indigo. 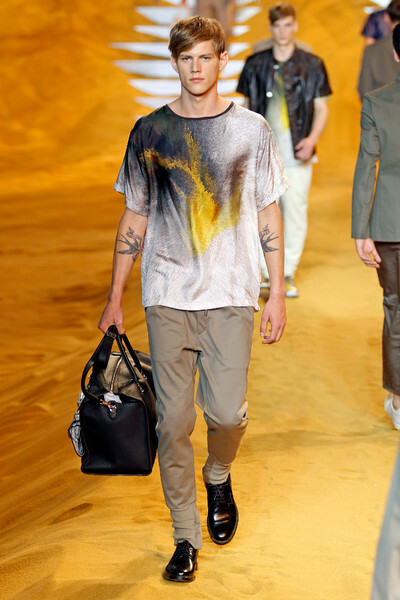 Sometimes a bit faded, like bleached by the sun.